In a move that may not come as a complete surprise, Mazda will no longer offer a manual version of its midsize sedan, the Mazda6. For 2019, order guides show the sole transmission offered with both the standard 187-hp engine and 227-hp turbo will be a 6-speed automatic. At the moment, that means the only way to buy a manual-transmission Mazda will be the MX-5 Miata Sport (from $26,650 with destination) or redesigned Mazda3 Premium Hatchback ($28,395). 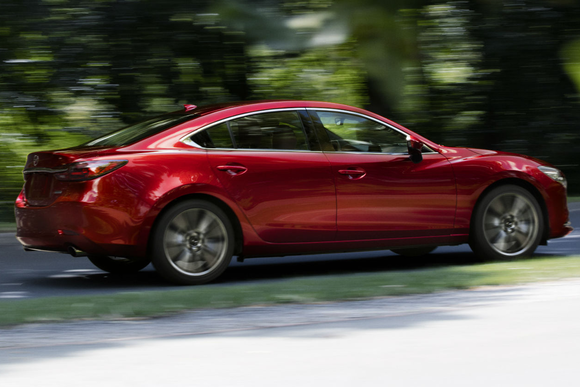 Previously, the 2018 Mazda6 Sport with 6-speed manual could be had for as little as $22,845 before incentives. On the surface, the Mazda6 will look less affordable than the previous year. At $24,720 for the Sport trim, the 2019 Mazda6 will start $1,875 higher than last year's lowest-priced configuration. That will make it slightly more expensive than the 2019 Honda Accord LX ($24,640) but slightly less than the 2019 Toyota Camry L ($24,875). Within its own lineup, the difference in price between the Mazda6 and all-new Mazda3 ($21,920) will balloon to $2,800, up from $925. Fortunately, our analysis finds the car will gain more standard equipment that helps justify its higher MSRP. You'll also get automatic headlights, rain-sensing wipers and a seat belt warning for front and rear passengers. All Mazda6 trims will also get G-Vectoring Control Plus, the latest version of the automaker's enhanced handling system that you can also find in the new Mazda3. Despite the fact that the 2019 Mazda6 will start $1,875 higher than it did before, our analysis finds that the added equipment offsets most of the difference. When you consider that i-Activsense used to add $625 and the automatic transmission used to cost $1,050, the actual price increase comes out to $200. With the exception of automatic power-folding mirrors in the Grand Touring Reserve, other Mazda6 trims appear to feature no major changes in equipment and will have price increases ranging from $325 to $725. At the top of the range, the Signature trim will start at $36,020. 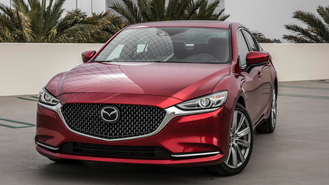 Editor's Note: Added clarity regarding the starting price for the Mazda6 Signature.